Re-fuelling in heavy seas. Ship unknown. 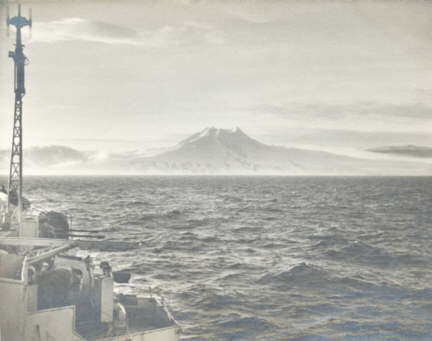 Jan Mayen Island, photographed for the starboard side of HMS. 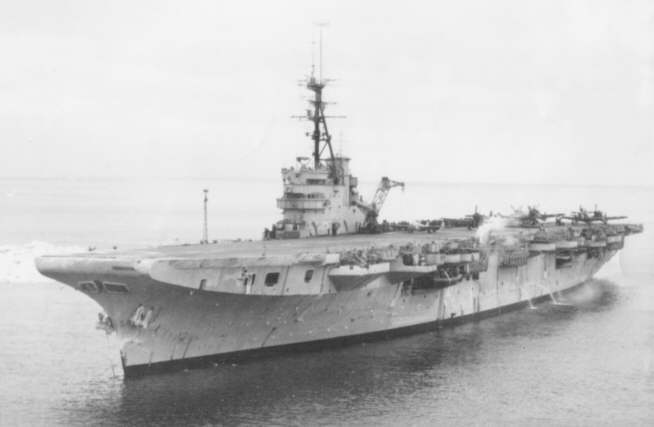 Vengeance, on 22nd February 1949. 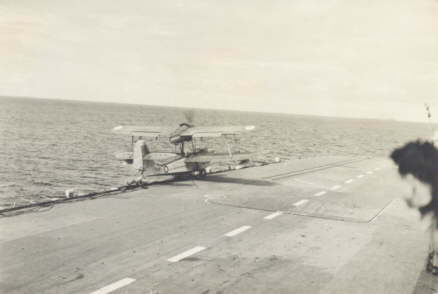 Sea Otter landing on HMS. Vengeance and heading for the sea on the port side. 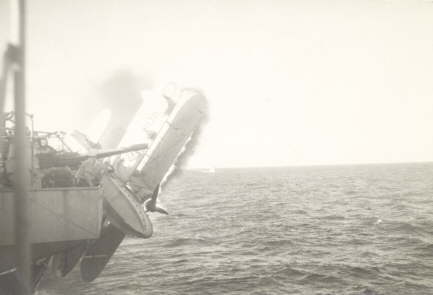 The Sea Otter crashes over the port side in flames. HMS. 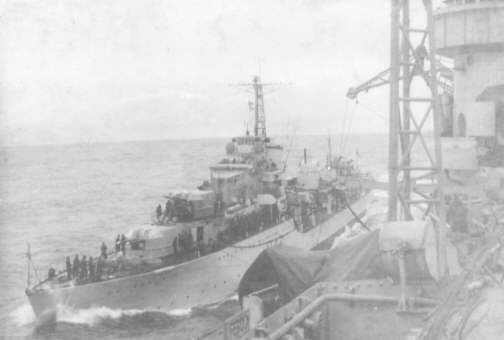 Gabbard refuels from HMS. Vengeance during the exercise. HMS. 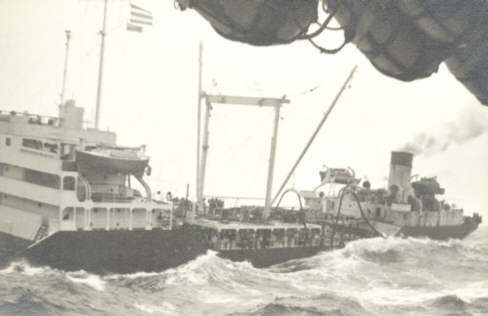 Vengeance in the Arctic Ocean in 1949. 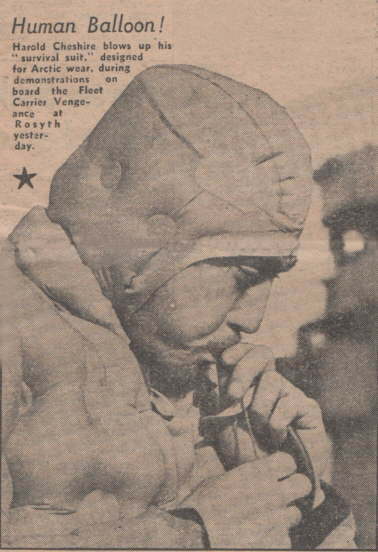 News paper cutting showing Aircraft Handler Harold Cheshire inflating his survival suit after the Arctic Cruise, at Rosyth. Article from the 'Bulletin & Scots Pictorial' newspaper dated 10th March 1949. 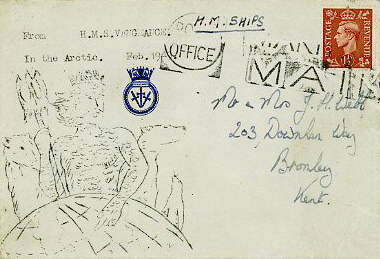 Postcard home from HMS. Vengeance in the Arctic, dated Feb. 1949, along with a drawing of King Neptune and Polar bears.